Been accredited as one of the 20 Most Glamourous Women 2009 in Malaysia by GLAM the exclusive fashion and society magazine in Malaysia. The glamourous event to announce the line up took place at The Royale Chulan Hotel in Kuala Lumpur, on the 16th Dec 2009. The criteria for this accreditation was to honour women with substance, one who has balance in their careers, family and social life and have achieved a remarkable level of success. The other 19 were women from various backgrounds and professions in the showbiz and other industries. Its an honour to receive it and I thank God for his blessings everyday. Alhamdulillah. 'Love is the food for the soul'..... yes indeed it is and i truly agree. When all the negative feelings above are created .... and everyone is feeling miserable - not a very good sight ..and not very productive for every aspects of living. Would you like to see a smiley face or a sad face? So why can't we give more love? The world today needs more LOVE. Give and share more love so that you will get more life pleasures in return. What is friendship without love? What is friendship without care? What is friendship without sincerity? There shouldn't be any excuses if you have 'love'. For the ladies , if you are in a relationship or even casual friendship or just a fling, if you don't have all these 3 elements of love, care and sincerity - move on and say to yourself , ' I love myself too much too deserve this. I will only settle for the best and nothing less'. Say this with conviction and head up high! Give your love to someone who deserve it and who truly need it. An old man once advised me , ' Judge a man by his actions, not his words'. Yup ..talk is cheap. So lets be strong and set our standards. 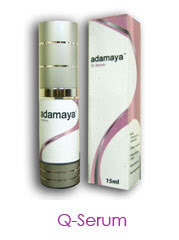 Q-Serum the one touch magic liquid by ADAMAYA! Look 10 years younger and get rid of your sagging skin and wrinkles within seconds! You are your best asset -Invest in yourself now! Log on to http://www.adamaya.com.my/ to order or attend our weekly talk on Beauty and Self-Improvement by the founder of Adamaya, Sharifah Shawati Syed Mohd. An incident happened today and I thought it was really funny but touchy. I went for my normal yearly check up with my Gynae ,..you know the thorough body check up for women to detect any abnormalities in your health....etc. When I got there I was attended by this new medical assistant whom never attended or spoke to me before this but I noticed that she was a bit reserved with me and I didn't know why. So I reserved my comments. Then she called out my name to go in and started preparing the room before the doctor comes in to check me. Feeling a bit embarrased thinking how awkward it is that we have to meet this way.. I mean having your fan seing you half naked....then I tried to be casual about it and said to her ' How old are you now...suddenly I feel so old..'. She laughed and said ' I'm 26. Then I asked her ,' So why didn 't you pursue your dream to be a newsreader?' She said, ' Because of financial problems la..'. Then I said to her ' To be a newsreader does not need much money coz when I started I just went for the audition like everyone else and if you're really determined and sure of yourself I think you should continue your dream.'. She answered me ' Its ok, it's too late now but do you know that I became the best speaker in my school because of you?'. There you go.. at first I thought this girl doesnt like me coz she didn't even look at me when I arrived but for all you know she was very shy. If I hadn't had the sense of perseverence , she would have been misunderstood. After talking to her I do sense the feeling of unhappiness and loneliness in her. She could have no one to talk to , to share her passion and her dreams. I really would like to see her at least try to go for an audition. It makes me sad to see someone give up without an attempt to try. You will never know how far you can go unless you try. It would be a waste to just deny a gift that god has given you. I wouldn't want to grow old and say to myself ' I should have done that coz by then it would be too late. But if you had tried and it didn't work out , at least you know where your strengths and weaknesses are. So if any of you young ladies and gentlemen are reading this my advice is , please just focus on your dream and you will get it. All you have to do is believe in yourself then others will believe you. 'Better to live one year as a tiger than a hundred as a sheep' - Madonna. Hariraya- To Forgive and Forget. Hariraya is supposedly a time for you to enjoy the moment of happiness being with family members , relatives and visiting friends to ask for forgiveness and to forgive any wrong doings in the past. Though I always thought that you don't have to wait for only on Hariraya to do it coz if you are conscious with your well-being and understand the basic fundamentals of courtesy it can become a habitual thing that you do everyday. When I was young my parents always reminded me to respect the elderly no matter who they are and never underestimate anyone coz you'll never know that one day you might need their help. This thought has been with me and since then I despise people who are rude to the elderly. I do believe that if you don't respect the elderly no matter who you are or what you are - you are nothing. I'm writing this because it happened infront of my eyes during this raya in an open house. A group of middle aged intellectuals from various high ranking position in their jobs one of them were the host were busy talking among themselves and didn't even notice an elderly lady with her husband coming into the house. They were greeted by the hosts uncle and was seated in the other lounge. I was just observing this group of people who couldn't care less about the existence of the couple and carried on talking and gigling loudly. The couple seated for an hour in the lounge and kept asking for the host and wondering where she was. Then the uncle went and told the host to go and greet the couple but she just kept on talking to her friends. Finally the couple was about to leave then they saw the host and went up to her to 'salam' the muslim traditional way. The host just sat there and didn't even stand up to show her respect but just coldly shook hands with the couple. I felt so bad for the couple. It's hariraya and how could this happen. We're supposed to make our guests feel welcome and what happen to our sense of humanity and courtesy? I hate to say this but if things are not done with sincerity then whats the point of doing it just for the sake of just doing it? 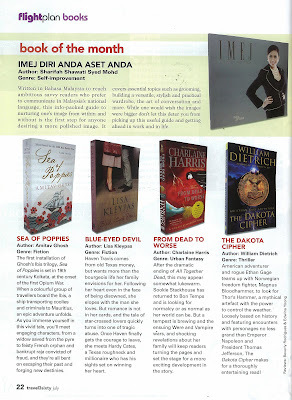 Sharifah Shawati's book 'Imej-Diri Anda Aset Anda' was featured as 'Book Of The Month' in July issue 2009 of Airasia Travel 3Sixty Inflight Magazine! Do get your copy at any MPH bookstores or book online with the authors signature in it at http://www.adamaya.com.my/. Lifetime investment and value for money only Rm 39.90! Special Interview In Airasia's Inflight Magazine Travel 3Sixty, September 2009 issue. 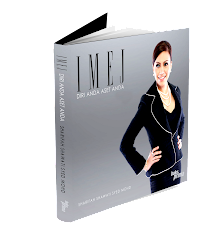 An insight on Image Consulting and Sharifah Shawati's book 'Imej- Diri Anda Aset Anda'. Don't miss this article and have a glance in this useful inflight reading material when you are on board! 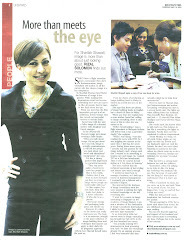 For more info please log on to www.adamaya.com.my and sharifahshawati.blogspot.com. Interview on my latest business venture in one of the prestigious business magazine in Malaysia called 'Madams Chair' done by a very credible writer Dazman Manan. Please get your copy of Madams Chair magazine September issue and turn to page 102 & 103. I am pleased to announce that starting from November 2009 I will be organizing a weekly 2 hours Image Talk on Visual Impact in the training room at my office that comes with a very special offer! Bring back Rm 150 worth of Adamaya products of your choice! A light refreshment will be served. Limited to only 15 pax weekly. Book your seat now and don't miss the opportunity to learn more about the art of looking good! All you have to do is contact Mr. Robin 017 463 1113 to get full details of the workshop and our location map. At first I was invited to be the judge for two of the auditions in Kuala Lumpur to select the candidates for a reality show organized by TV9 called Pencarian Gadis Melayu. This second season they are looking for extraordinary urban malay women with multiple talents, great personality and creative attributes and skills. The auditions started a month ago and the search was conducted all over the states of Malaysia. I was given the privelage to conduct the one in Kuala Lumpur together with Adam Salleh the Chief Editor from Berita Harian, Izza Saffinaz Ibrahim , the Editor of Cosmopolitan magazine and Nurfarahin Jamsari from the Brand Management of TV3. I must say that I do have high expectations from the candidates as I believe that we women of the new millenium must be aware of our strengths and use them to our own advantage. However during the two days audition I found that most of the candidates were truly dissapointing. They came unprepared not only physically but also mentally. I mean , would you turn up to a job interview that you so much wanted in jeans , worn out T-shirt and oh my god.....slippers?! Ok so I could still tolerate the jeans but slippers ...no way. I'm talking about slippers not sandals. Bear in mind that this was an audition for Gadis Melayu of whom will be trained as tv presenters. Is this what Gadis Melayu is all about and is this the message you are trying to convey? And oh by the way ...no make up and greasy hair and complexion. Come on ladies , don't you love yourselves?! So what do you expect from us? Appearance is one thing but atitude is another issue here...When asked what have they prepared to show us, the answer was, ' Oh I just came to try my luck as I just accompany my friend but i'm interested to be a newscaster or presenter.....'. Hhmmm.....should I say more? I can still recall back the time when I was preparing myself to go for a job interview with Malaysia Airlines as a Flight Stewardess. I preapared my attire a week in advance and did my research about MAS and mingled with some of the stewardesses to get some hints of their work culture. I prepared my own resume not to mention I re- checked and re-done it several times until I was truly satisfied with what I will be presenting to them. To me , image is perception. I always tell myself be the best that you can be and do the best that you can do then the rest leave it to the almighty. Nobody knew about the interview as my parents initially objected to the idea but my uncle was the only one who said to me 'Every job is a profession and you will be a professional if you do it professionally'. So i took it from there and of course with much determination , courage and hardwork , I got the job and worked there for 7 years!. It all comes back to how much you want it and how far would you go to get it. Hard work pays and I never believed in short cuts coz it does not last. So ladies if you are one of them reading this I only have good intentions to share this with you. Never be a victim of your own limited beliefs. Believe in yourself , don't hesitate and show to the world what you've got. By the way now they hired me to be the host of Gadis Melayu. Thank you Tv9 for the generosity. To all the 12 candidates chosen to be in the show , all the best to all of you. This is the beginning of an interesting journey and make sure you make the best out of it. Quote:' Give A Girl The Right Shoe And She'll Conquer The World'- Bette Midler. Everything is judged by its appearrance ; WHAT IS UNSEEN COUNTS FOR NOTHING. Never let yourself get lost in the crowd or buried in oblivion. Stand out. Be conspicious at all cost. Make yourslef a magnet of attention by appearing larger, more colorful, more mysterious than the bland of timid masses. Law no: 6 of 'The 48 Laws of Power' by Robert Greene. Humans are creatures of habit with an insatiable need to see familiarity in other people's actions. Your predictability gives them a sense of control. Turn the tables. Be deliberately unpredictable. 'Keep Others In Suspended Terror: Cultivate An Air Of Unpredictability' - The 48 Laws Of Power by Robert Greene. special thanks to our great fashion designers Zang Toi & Carven Ong for sponsoring the lovely clothes. !